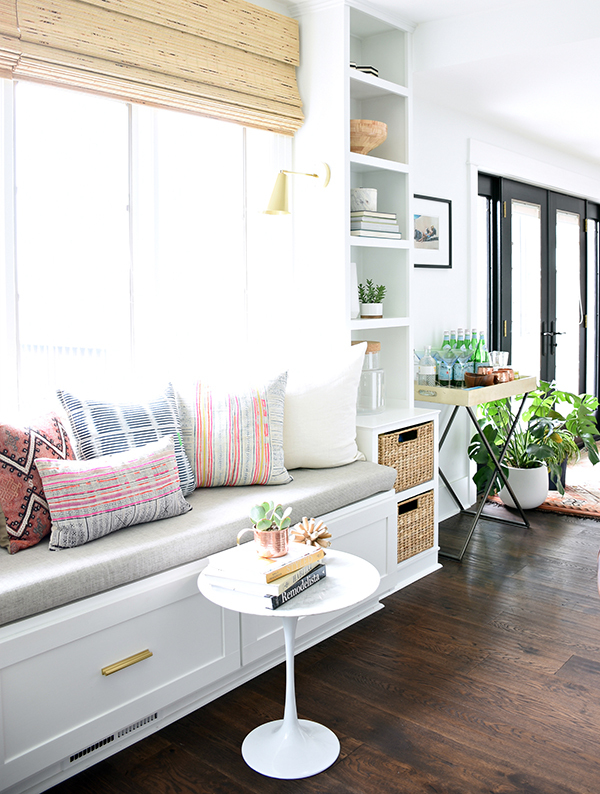 New home tour alert! 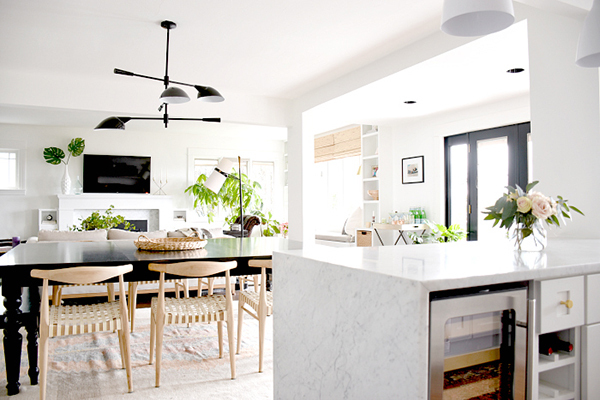 Today we’re touring the chic and relaxed home of Brit Pierce, founder of blog House Updated. 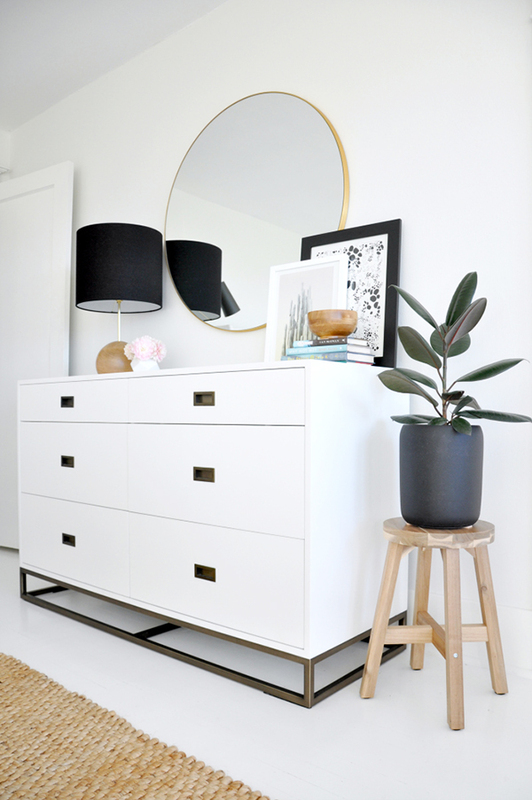 Brit’s home decorating is all about soft neutrals, while using black decor elements to add a touch of upscale sophistication. 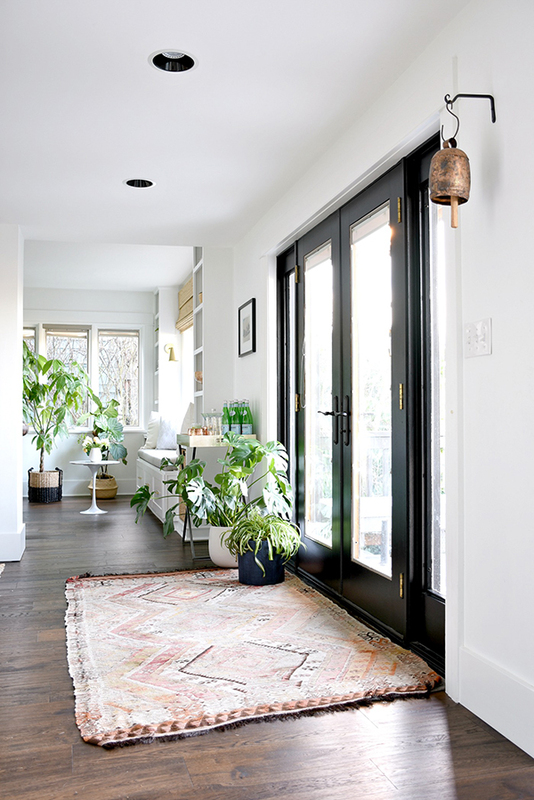 While you peruse this home tour, lookout for the pops of black paint and decor she uses in several rooms of her home (LOVE!) and see if you can catch all of the gorgeous, textured fabrics used. 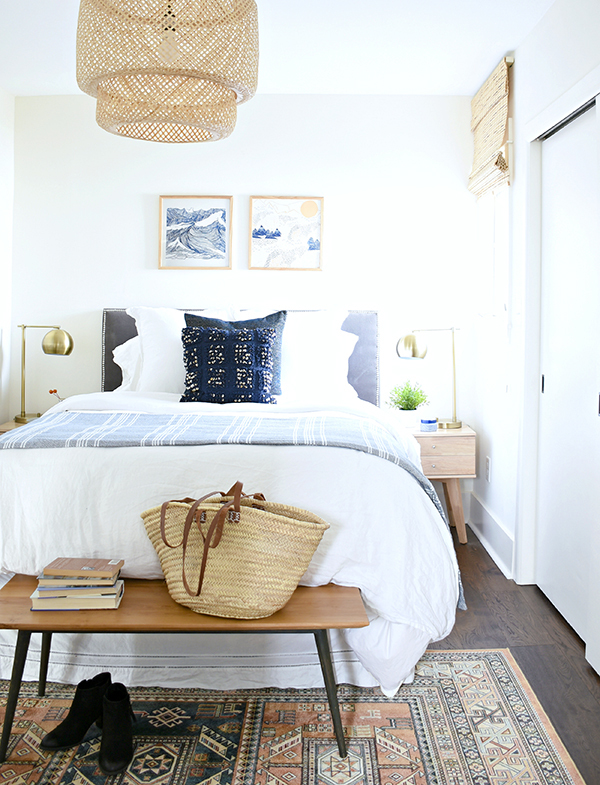 Brit successfully achieves a home that is warm, welcoming, and approachable while still being stylish, which I’d say is a decorating win! 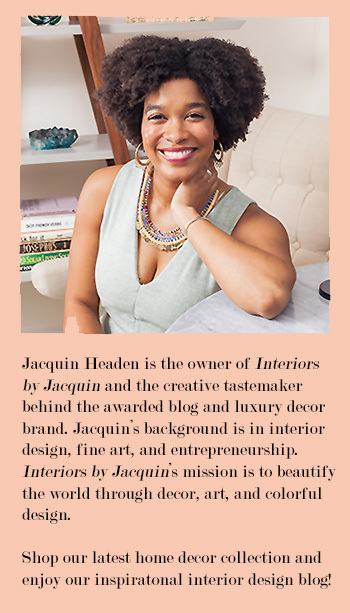 Jacquin: I love the fresh feel of your home! 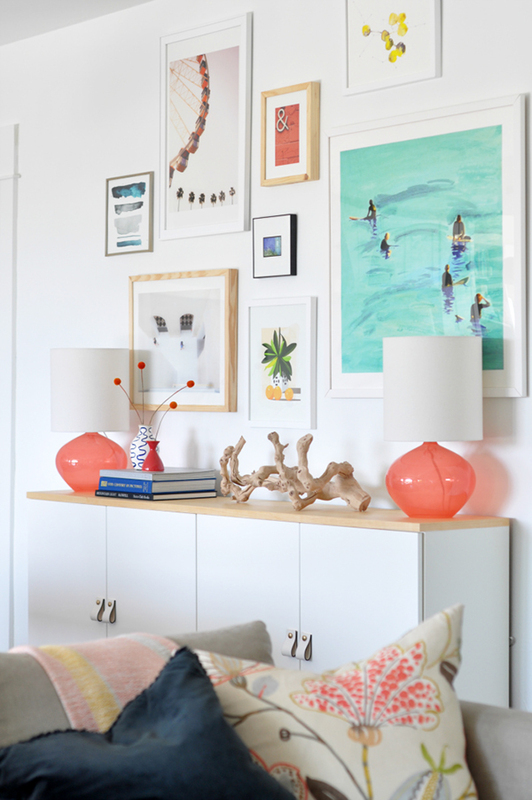 What did you set out to achieve when decorating you home? 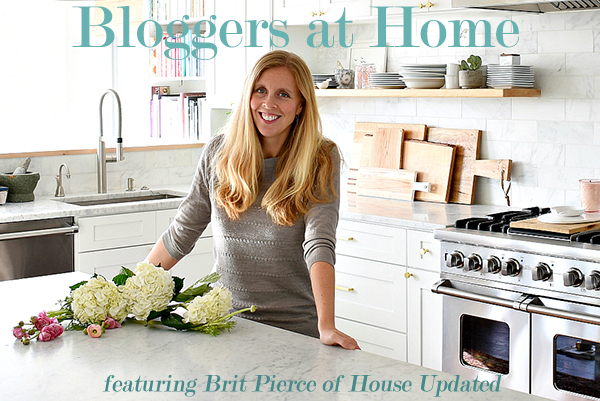 Brit: I really set out to achieve a home that felt comfortable for our family and our friends. We entertain a lot and I wanted everything to be open, kid-friendly, and a perfect place for fun. Jacquin: What is your favorite thing about being at home? Jacquin: How was your decorating experience? What was the most difficult part? What was most rewarding? Brit: I’ve enjoyed decorating our home but the most difficult part is committing! 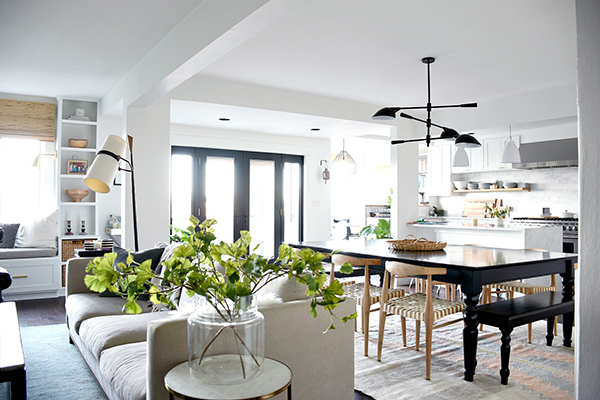 There are so many wonderful design options out there that picking just one lamp or just one chair can feel overwhelming. But, by far the most rewarding part is to see everything come together in the end and just enjoy the finished product. Jacquin: Do you have any changes you’d still like to make to your home or any other projects you’d like to undertake? Brit: I’m always changing our home! This year I’m hoping to tackle some bathroom projects, update our living room, and another big one is to take our untouched office and bring it into this century. I like to mix big remodels and smaller decorating projects throughout the year to keep me motivated and enjoying our house progress. Jacquin: What design element in your home do you thing made the biggest design impact? 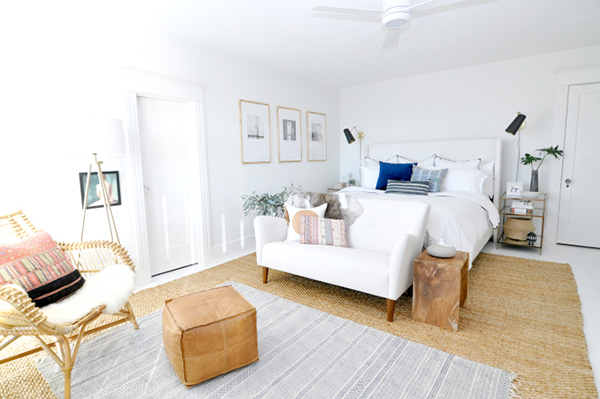 Brit: I think the design element that has made the biggest design impact is starting with neutral spaces everywhere and layering on top of that. 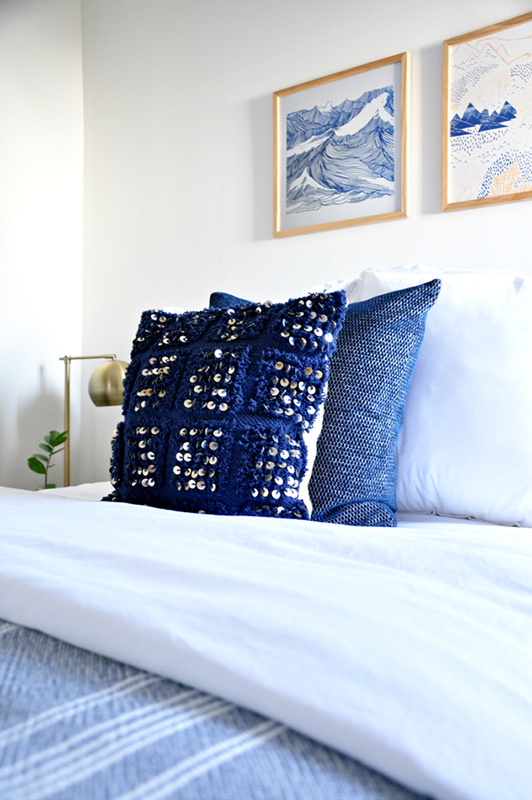 All our walls are white or light gray (except my daughter’s room is a pale pink) but in every space we’ve added a lot of texture and color on top of the neutral base to keep things interesting. 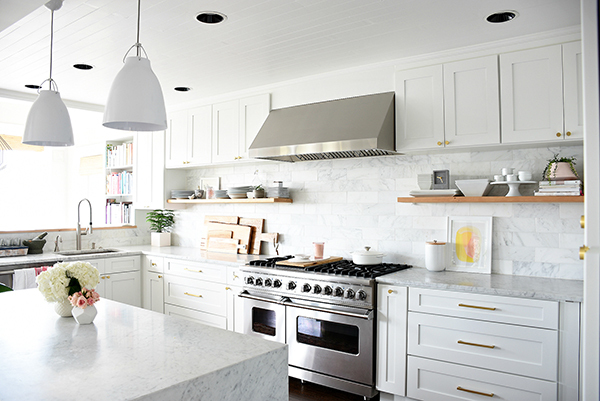 This allows for easy changes but also makes all the spaces seem cohesive and clean. 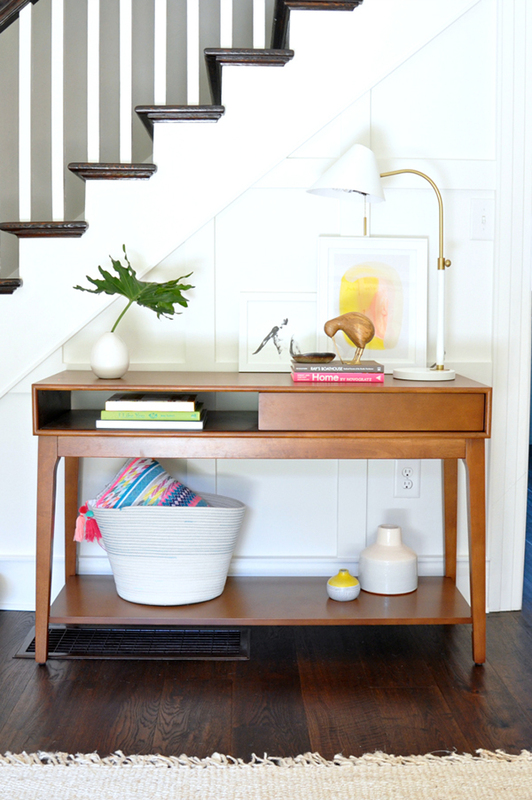 Head over to House Updated to learn more Brit, her home, and her passion for DIY! Have a lovely weekend!